New South Wales have claimed the blind and vision impaired title after a hard fought three run victory over Victoria at the National Cricket Inclusion Championships. The win meant that New South Wales went through the entire competition undefeated. Winning the toss, Victoria sent Lindsay Heaven’s New South Wales side into bat. Heaven and Nathan Leets opened the batting for the boys in blue. Leets (4) was run out in a grand fielding effort thanks to Steve Obeid, but with this wicket, the in-form Shaun Fitzpatrick joined Skipper Heaven at the crease. With both Heaven and Fitzpatrick being in the top ten leading run scorers for the 2018 competition, Victoria would require another early breakthrough to minimise damage. Following a solid 27 (26), Fitzpatrick unfortunately had to retire hurt, however Skipper Heaven was then joined at the crease by Matthew Cameron. Heaven was defiant, but fell LBW to Victorian quick Daniel Pritchard on 81 (61). Cameron (29*) and Lachlan Anag (19*) guided New South Wales to a competitive 2/188 from their twenty overs. Opening the batting for Victoria, Brett Wilson (22) was the first to fall, victim of a tremendous out swinging delivery bowled by none other than Lindsay Heaven. Despite Chris Ballie being run out cheaply, Ned Brewer Maiga led the way for Victoria, making his way to 62 (52) before having to retire hurt. Steve Obeid (50*) and Daniel Pritchard (21) occupied the crease for a long period of time however, Pritchard fell to the bowling of Lindsay Heaven, with a great catch from Oscar Stubbs in the deep. Come the last over, Victoria would require a further 17 runs to win the game. You guessed it, the man of the moment Lindsay Heaven kept cool under pressure, bowling the final over to restrict the Victorians to 4/185 (20). Heaven finishing with the best figures for his side (2/34). 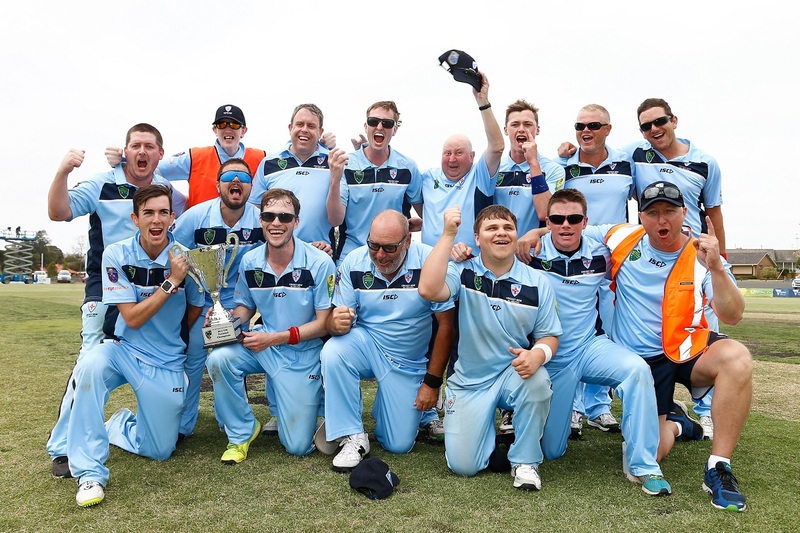 With their victory, New South Wales completed the 2018 NCIC Blind competition without losing a game, and claimed their first NCIC Blind Title.